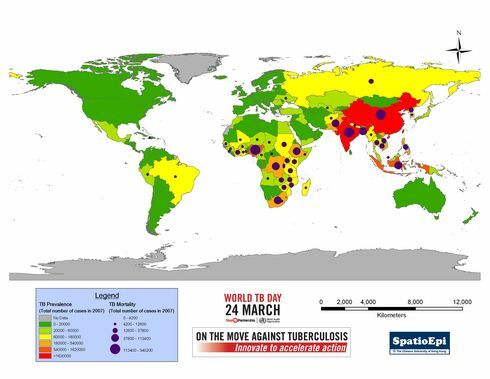 As one of the 22 high burden countries for tuberculosis (TB), China reported an estimated one million TB cases each year, accounting for more than one eighth of global cases. In 2010, the number of reported cases was 70 per 100,000 population. The map shows the distribution of TB cases in China. 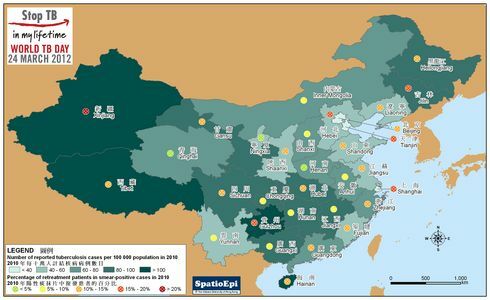 As depicted by graduated colours, the number of reported cases per 100,000 population in 2010 was generally higher in rural central-western China than that in urban eastern China. 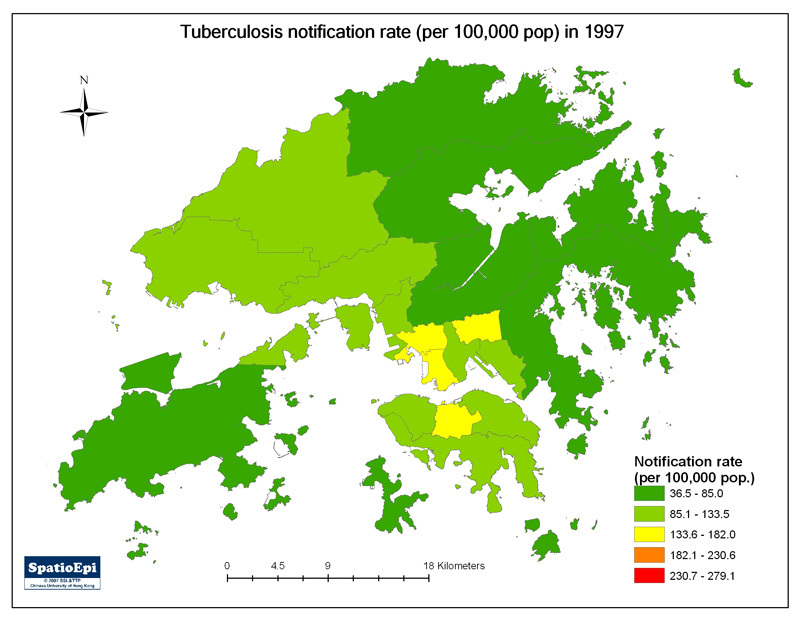 The circle symbols, indicating retreatment patients, suggested that this could be high not just in high TB burden provinces but also municipalities with low incidence, as a result of rural-to-urban migration. Tuberculosis in retreatment patients requires extensive chemotherapy and poses a threat to public health as drug resistance might have developed. Therefore, better case management and appropriate treatment regimens are important to control tuberculosis in China. Data for the map were obtained from Chinese Center for Disease Control and Prevention. DOTS (directly observed treatment, short course) remains an important tuberculosis (TB) control strategy. DOTS comprises five components including (a) government commitment to sustained TB control, (b) quality-ensured diagnosis, (c) regular and uninterrupted supply of high-quality TB drugs, (d) standardized short-course treatment under direct observation of healthcare staff, and (e) systematic recording and evaluation for treatment performance. Through DOTS, essential support is provided for TB patients to complete the full course of treatment. Hence, treatment failure, emergence of drug resistance and spread of the disease can be avoided.